The three-year learning journey of the “Leadership and Active Citizenship Program- Masari” continues with the commencement of the Personal Competencies learning station for new students, and the Debating Station for second-year students. The “Leadership and Active Citizenship Program- Masari” started last year by seeking first-year students accepted for the academic year 2017-2018. It continues this year by welcoming new and second-year undergraduates, with a focus on empowering them to become active citizens and forward-looking leaders. The learning journey of “Masari” spans a period of three years, during which students complete six stations: Personal Competencies, Career Path, Debating, Citizenship, and Social Entrepreneurship. Training for each of the stations is delivered through 21 training hours. The academic year 2018-19 welcomed 3000 new students at the Personal Competencies learning station, to accompany the initial 3000 students who joined the program last year. Explaining the learning stations of “Masari”, Vice President for Financial and Administrative Affairs Mirvat Bulbul noted that the Personal Competencies station targets first year students, who build skills in self-exploration, self-discovery, self-awareness, and self-management through the Personal Competencies and Career Path stations. In the second year, the Debate station emphasizes the other and the community through the active citizenship skills of diversity, empathy, and sharing in the Debating and Citizenship stations. About the final destination of the program’s learning journey, Bulbul added that the station is delivered over two semesters, where participants get the chance to reflect on the knowledge and skills they accumulated through their journeys, and gain new competencies on how to conduct community needs assessments and design sustainable community initiatives. 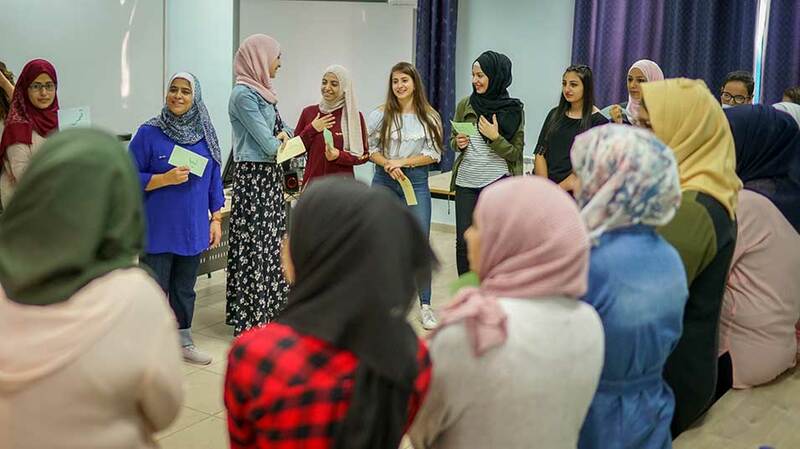 “Masari,” she remarked, includes two stations that focus on developing and implementing students' initiatives that are tailored to the Palestinian context and national priorities, that are tailored to the local and Palestinian context. Coordinator of Relationship with Labor Market at the Innovation and Entrepreneurship Unit Suahir Morar said that “Masari” is implemented through an accompanying co-curricular activity, which students undertake in line with their academic program. At the end of the three-year journey, students will be eligible to receive the program’s certificate indicating the number of badges collected through the program. Director of the Unit for Learning Innovation at the Center of Continuing Education Osama Mimi pointed that “Masari” features more than 60 facilitator from the university’s staff and faculty members, who were all trained for the Debating and Citizenship learning stations. 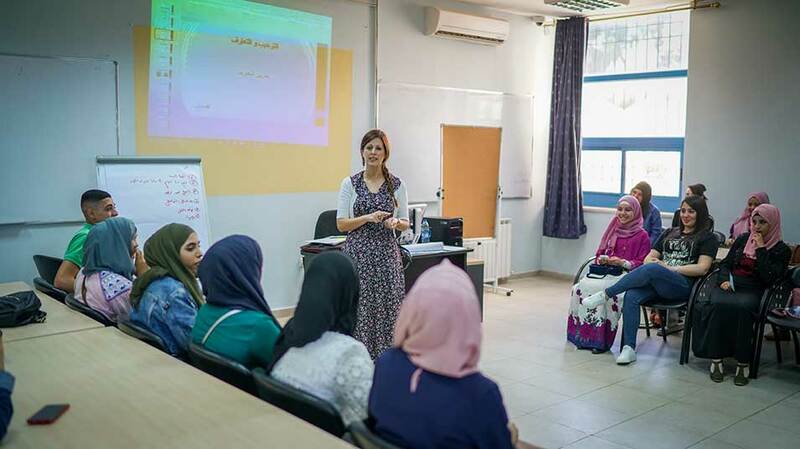 The training program, said Mimi, was led by Rania Qasim, Najwan Birqdar, Huthayfa Jalaymeh, and Suhair Morar. The training scheme is orchestrated to be highly interactive and participant-driven. Masari is conducted by the Innovation and Entrepreneurship Unit at Birzeit University. Launched in 2017, the program aims to foster an active campus of entrepreneurs and innovators, and bolster the university’s internal entrepreneurial ecosystem. The unit provides an open innovation platform for students, faculty, and staff to co-create and collaboratively work on new ideas and design and implement community initiatives. The IEU houses a student-centered open co-working space, several innovation labs – including Ka3kesh and VLSI labs – university-community engagement programs, and student-led initiatives.